This advanced feature remote offers the same simple push button operation of the ME-RC with advanced features and setup menus. 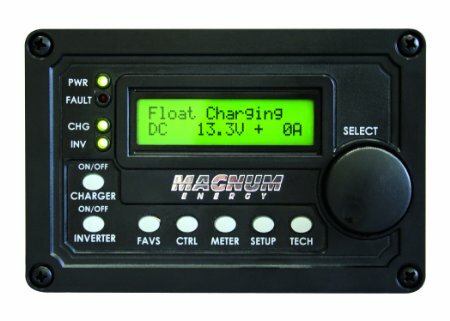 The ME-ARC features a Favs button for storing up to five of your favorite setup menus, a Control button for fast easy control of the inverter, charger, and generator, meter button with AC and DC meters, advanced setup menus, and advanced tech menus. Test.